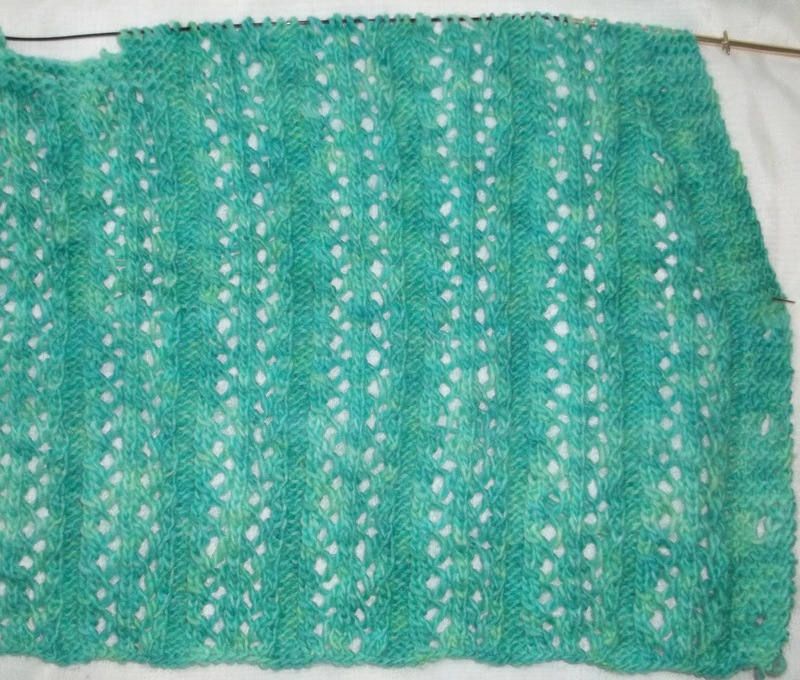 If I had knit a little every day (just a row or two) , my little knit vest would be completed. But it hasn't been abandon, and while I haven't worked on it every day, I have worked on it some days. So now, it's a bit longer, with a pretty clear cut V neck taking shape, and I've divided the work to shape the armholes. It won't be a long vest (the kind I like best) but it will be a little longer than the allspice one I knit earlier this year. Just an inch longer in the body, and maybe 2 inches longer in the armhole (I think the upper portion of the allspice vest is a little small—I was anxious to be finished, and I shortchanged it.) 3 inches or so longer in total--still an inch or so short of an ideal length--but still very wearable. 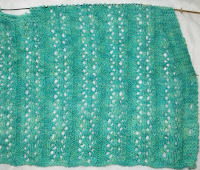 So--at the rate I am knitting-- it should be finished just in time to be too warm to be of much use! But there will be still be some cool days, (and nights) so it will likely be worn once or twice this spring—and come this fall, I will (I hope!) have a nice dark teal blue shell (one with short sleeves) that will go well with it--and a pair of socks, too. Not to mention I have a nice skirt in print that will go well with this--and will have a navy skirt by then (the fall) too. I have to find some buttons for it—I haven't seen anything I really like—and with out a car, I am limited—I likely have to schlep into Manhattan one day soon. And some day, when I return to knitting socks(it seems just yesterday, I knit them with unending joy—now its been months since I've completed a pair)--I'll make some socks to match the little vest. 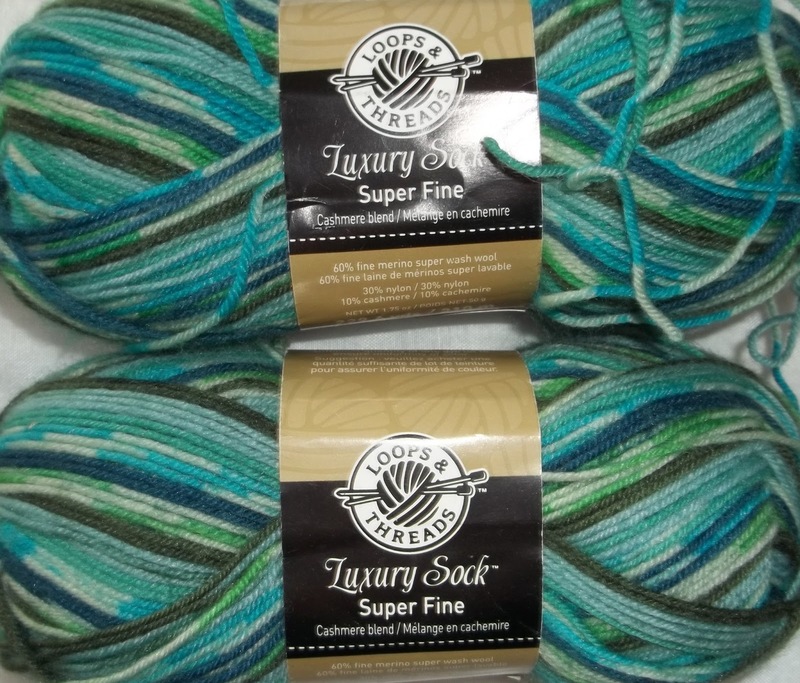 This yarn has been in my queue for a while now—it graduated to being in a home made sock club kit late last year. I am not sure exactly what pattern it will end up being—but I suspect something with beads—since I have a little box of matching beads.